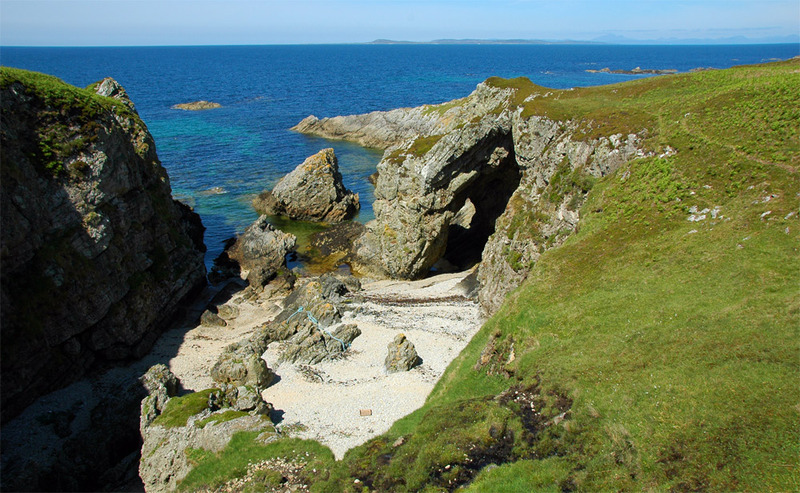 There are many natural arches along the north coast of Islay. Colonsay visible in the distance. This entry was posted in Landscape, Repost, Sunny Weather and tagged Colonsay, Islay, natural arch by Armin Grewe. Bookmark the permalink.